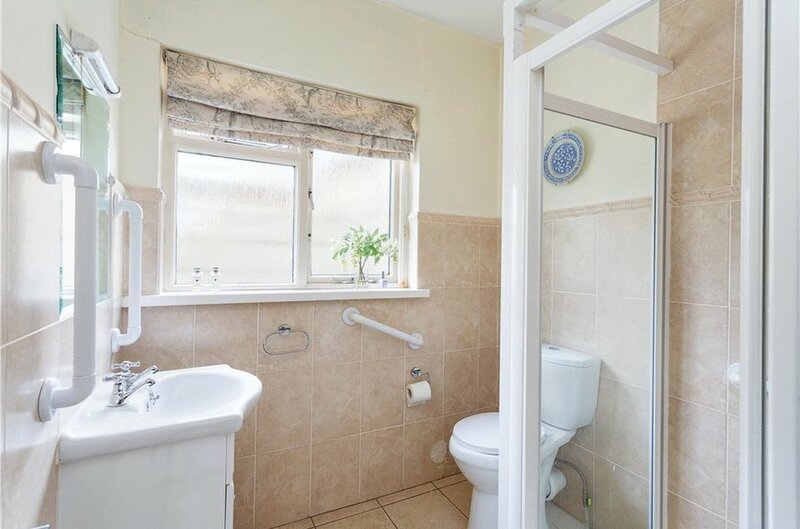 An instantly appealing detached double fronted family home that offers bright generously proportioned free flowing accommodation that is positioned on the southern side of this highly regarded residential family cul-de-sac accessed off Johnstown Road boasting a really lovely sunny south-westerly facing private rear garden. 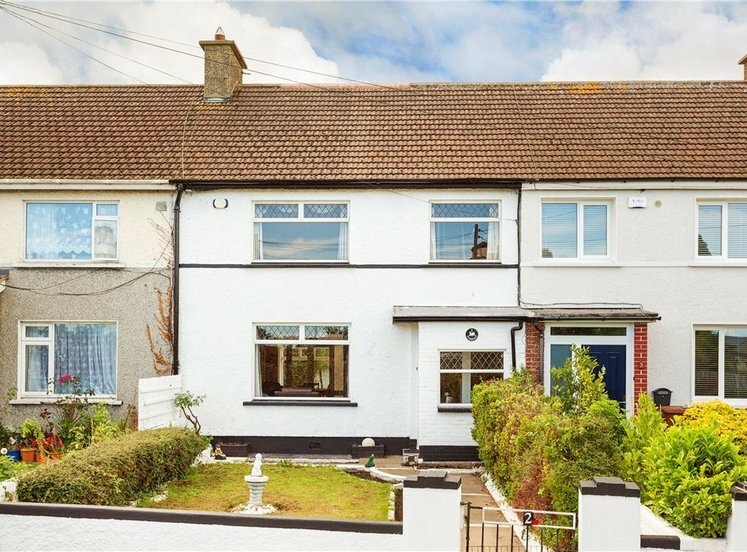 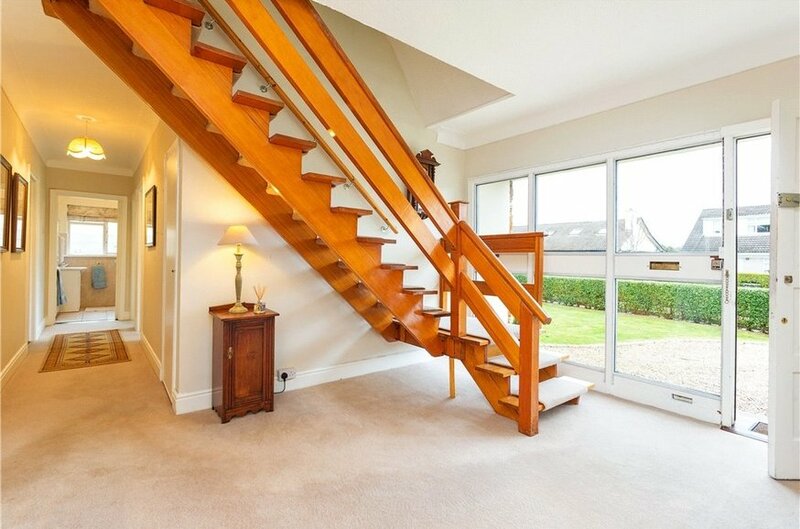 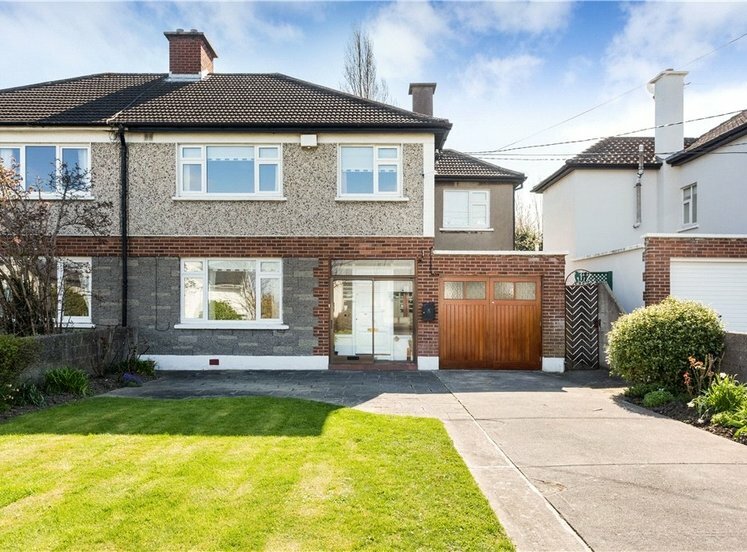 This excellent family home has been very well-maintained and offers spacious generously proportioned bright and airy accommodation that extends to approximately 185sq.m (1,991sq.ft) and offers comfortable well laid out free flowing accommodation which is ideally positioned to raise a growing family in a mature settled and safe environment. 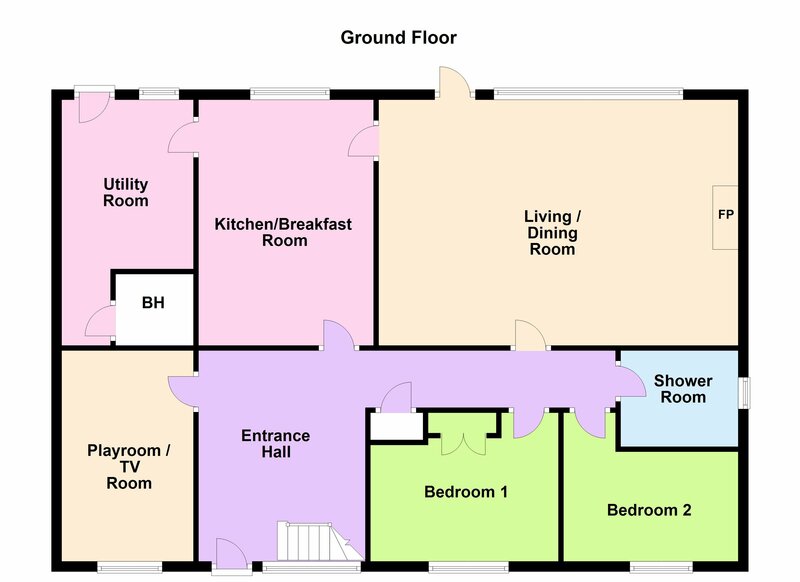 Internally the accommodation at ground floor level comprises a tiled porched entrance that opens into a spacious reception hall with understairs storage, a converted garage which is now a playroom/TV room. 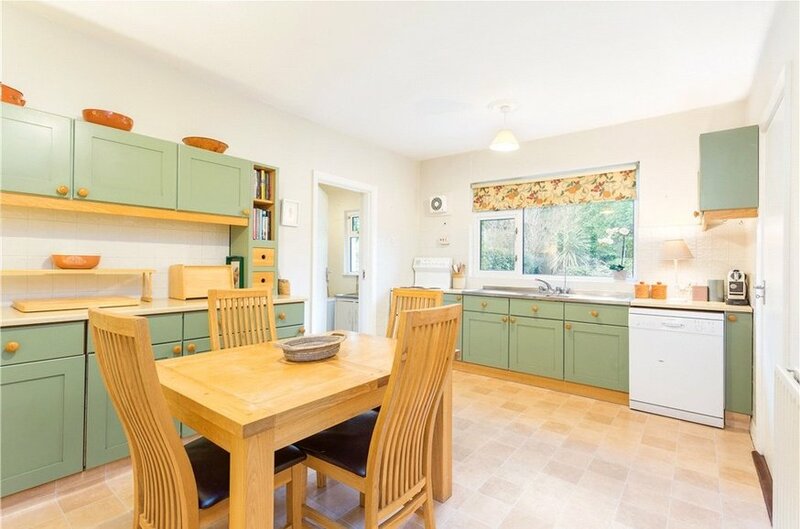 Next is the well fitted kitchen/breakfast room overlooking the sunny rear garden and has steps leading to a good sized utility room that access out to the rear and houses the newly recently fitted gas fired central heating boiler. 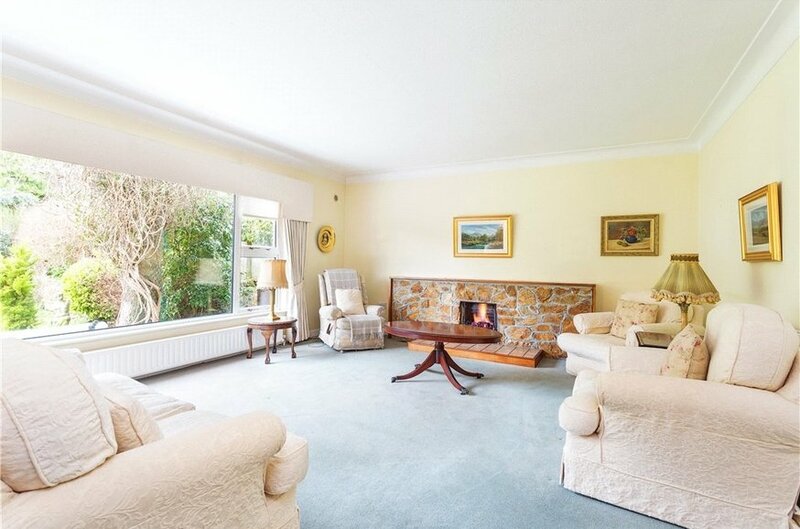 There is an exceptionally large sitting room that enjoys a pleasant outlook and access to the sunny south westerly garden and has gas fire. 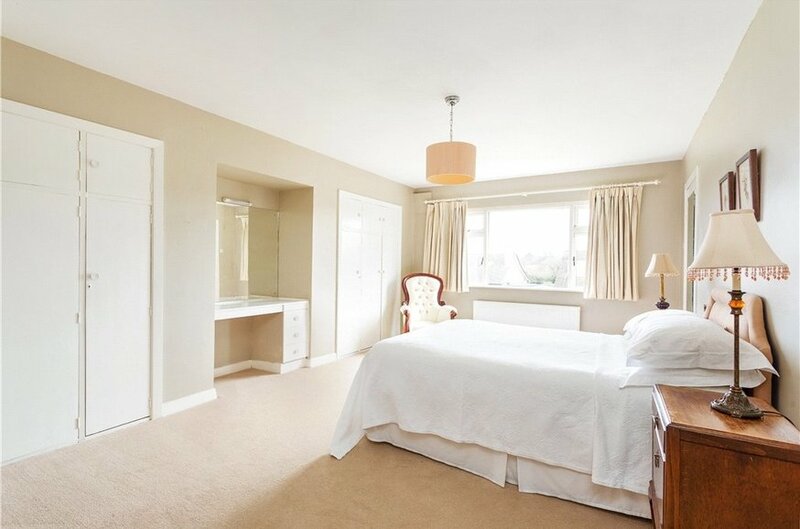 To the rear of the inner hall there are two double bedrooms and a family shower room and there is also cloak hanging storage. 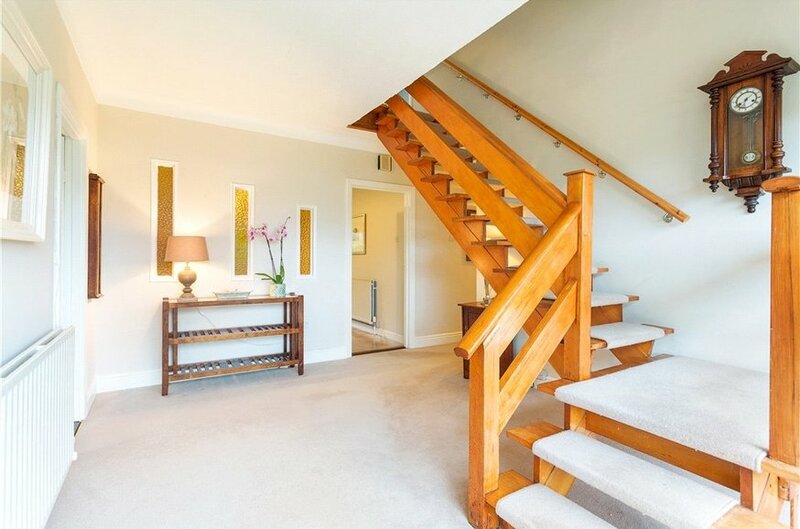 Upstairs off the landing are three excellent bedrooms and a well fitted family bathroom. 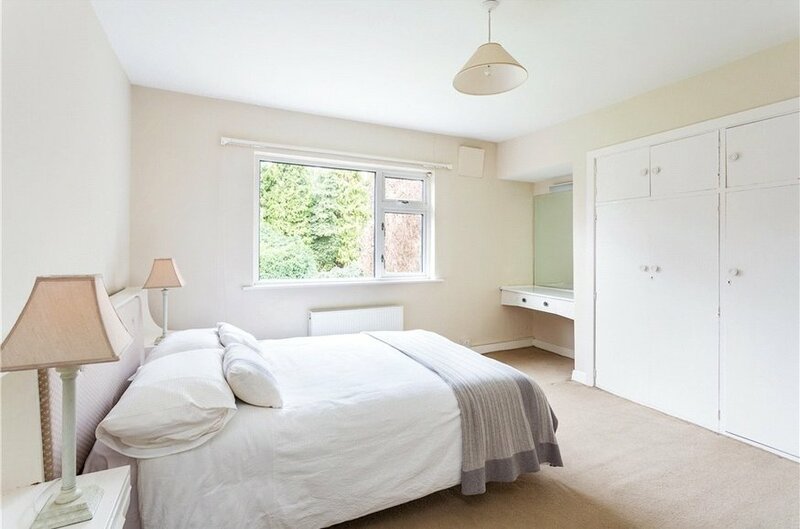 The bedrooms have excellent wardrobe and storage provisions and a particular feature of these houses is the deep under eaves attic storage. 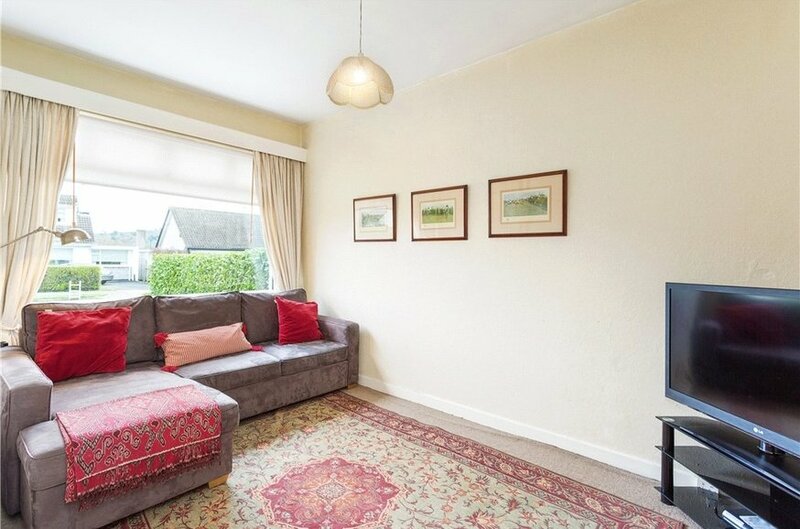 To the rear of the property is a highly sought after sunny south westerly suntrap rear garden with large patio ideal for al fresco dining whilst the remainder is laid out in lawn bordered by mature shrubbery, trees and planting. 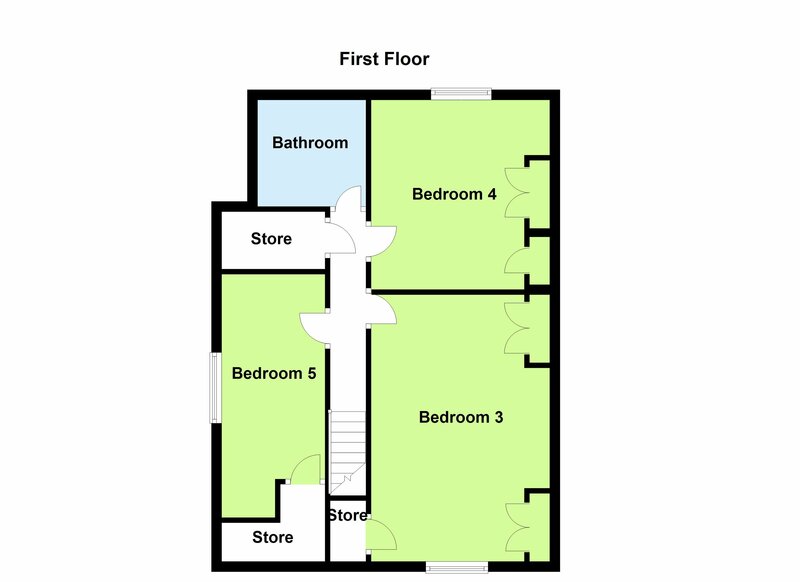 It measures approximately 20m (66ft). 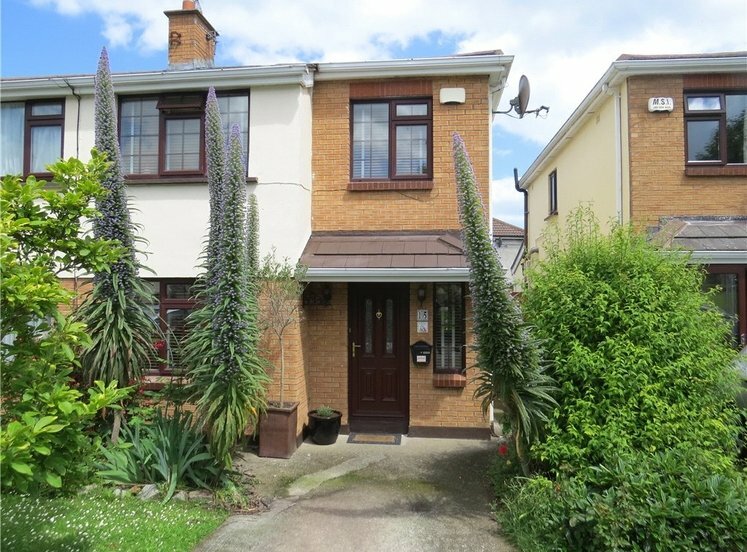 Either side of the property there is pedestrian gated access that leads through to the front garden that is laid out in gravel and offering off street parking for a number of cars whilst the remainder is lawned, fenced and hedged. 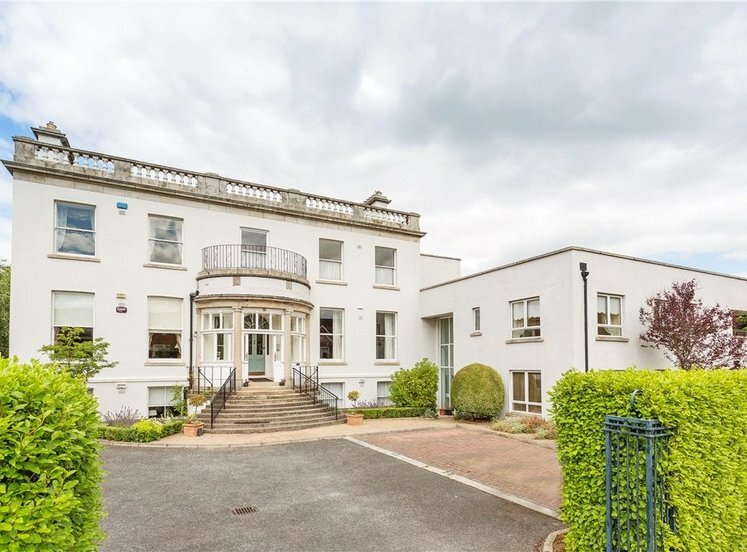 Shrewsbury Lawn is very well served by public transport to include the 145 bus route along the N11 which terminates at Heuston Station, Aircoach (both can be accessed via a pedestrian shortcut laneway) and the LUAS at Cherrywood. 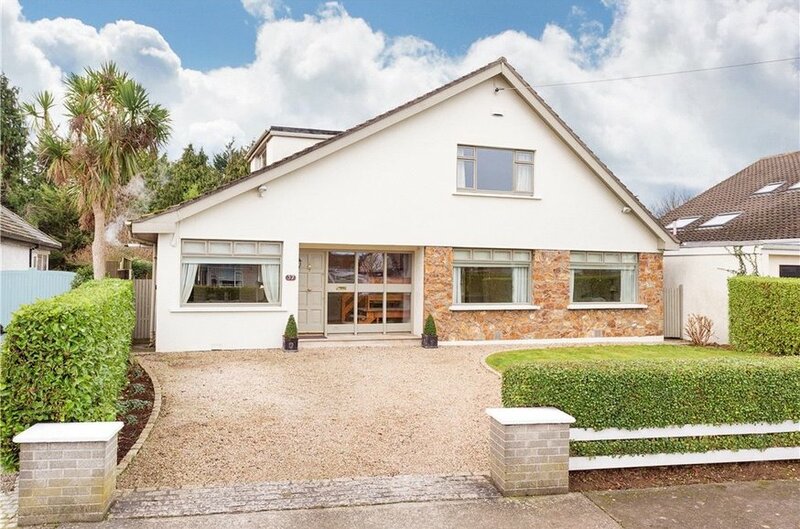 It is right beside the N11 which runs directly into Dublin City Centre and is a short drive away from the M50 offering great connectivity. 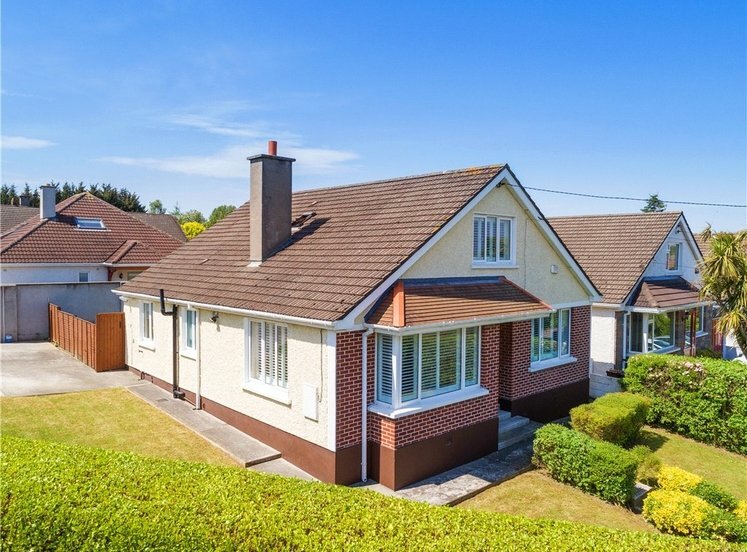 There are many good primary and secondary schools in the area including: St. Brigid’s National School Cabinteely, Johnstown National School and Educate Together on Kill Avenue along with Cabinteely Community School, Clonkeen College, St. Lawrence’s and Loreto College Foxrock. 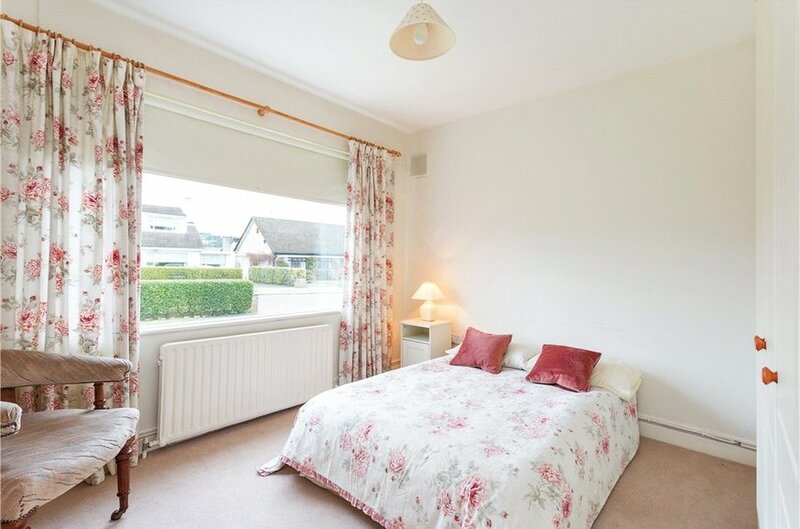 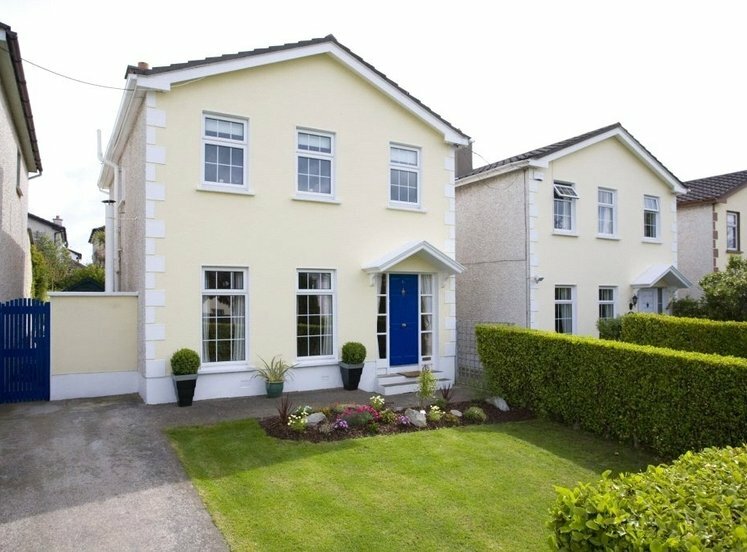 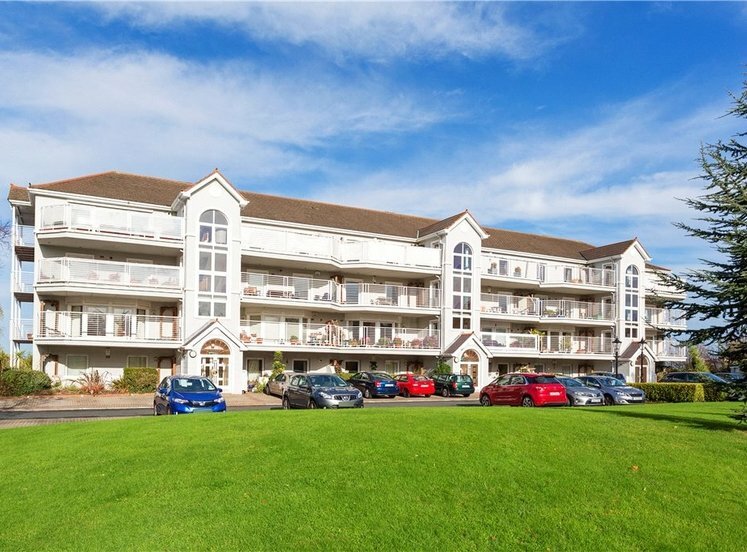 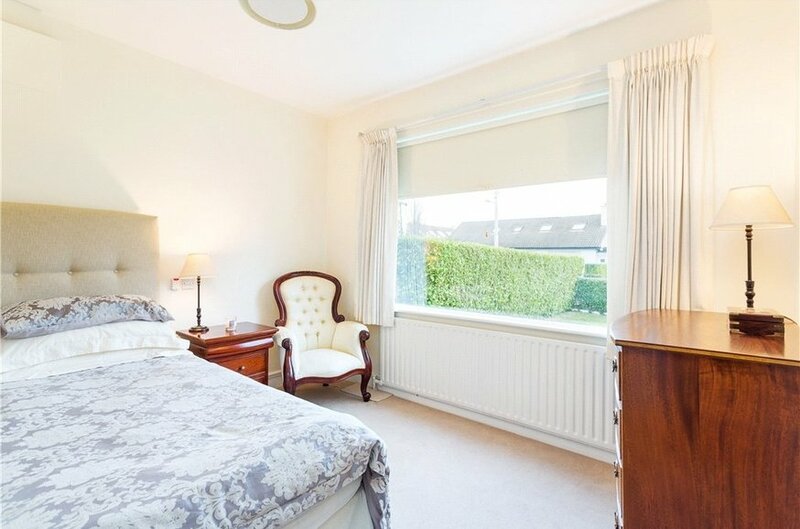 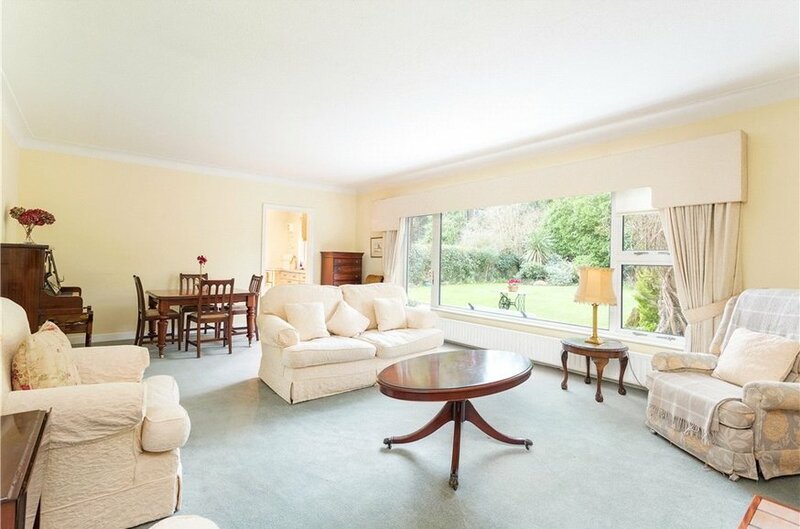 It is surrounded by excellent amenities to include: Cabinteely Park, Killiney Hill, Leopardstown and Killiney Golf Course; and Dun Laoghaire is a short drive away offering numerous sailing and sporting clubs. 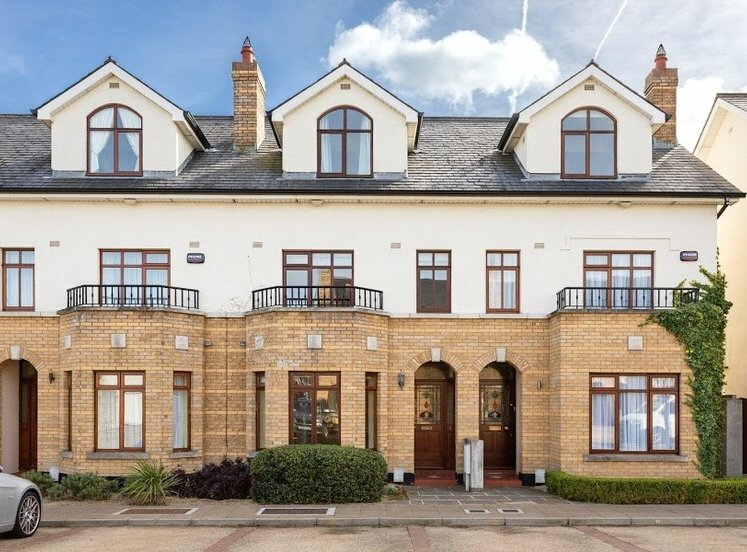 Cabinteely Village is within walking distance of the house and offers good restaurants and services; together with the shopping centre at Cornelscourt. 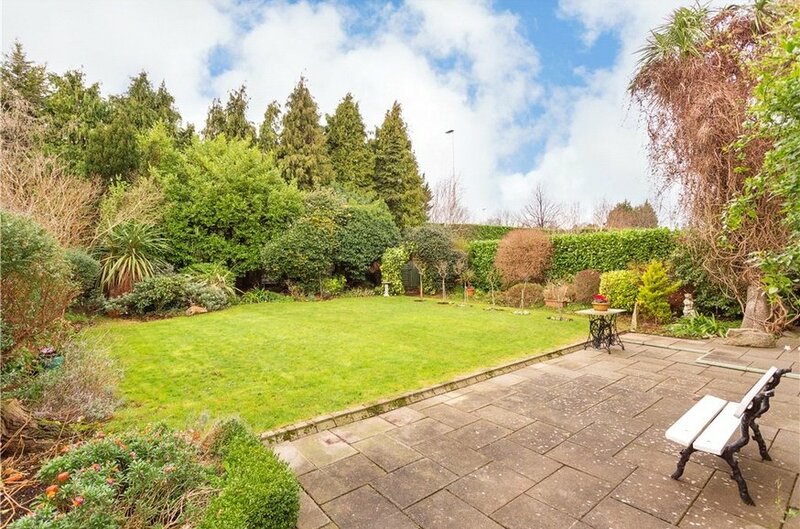 To the front there is gravelled off street parking for numerous cars whilst the remainder is lawned bordered by fencing and hedging. 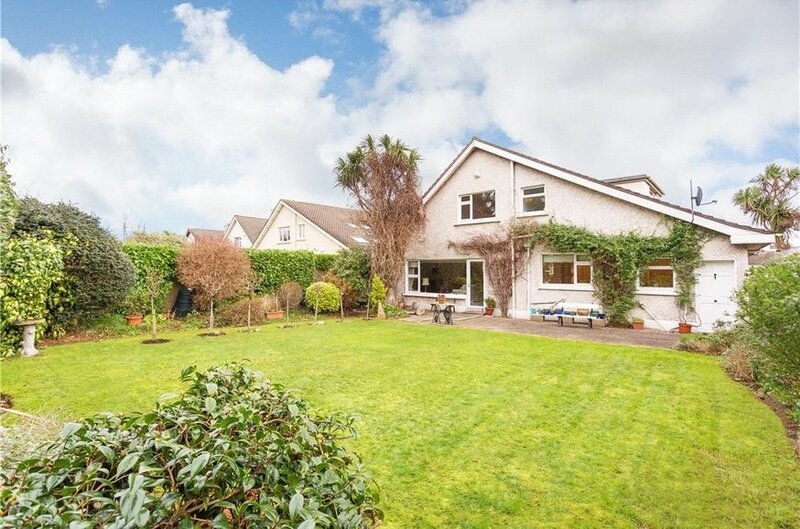 Two gated pedestrian accesses lead either side through to the private south westerly facing rear garden that is laid out in patio, lawn and is well walled with mature shrubbery, trees and planting.